This was a new material for us to be working with, as Ipe wood or “Iron Wood” is a rare species of wood. 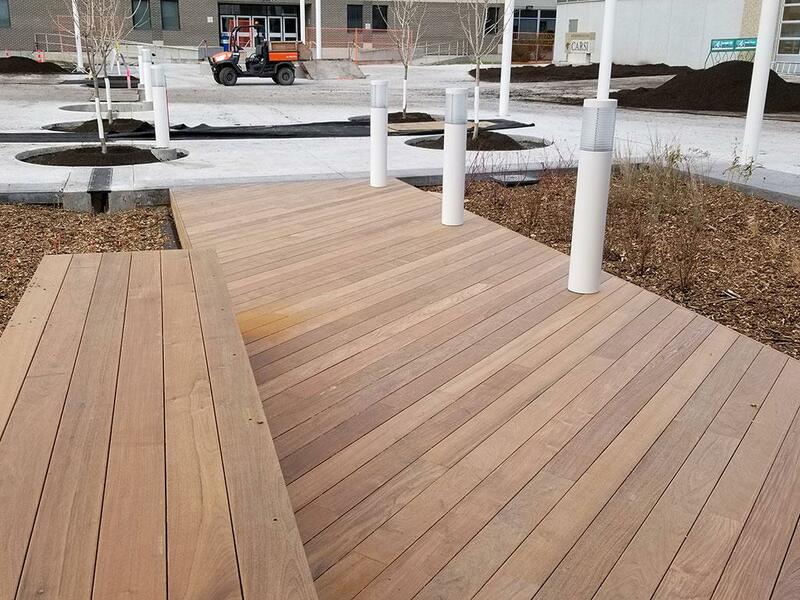 When we first began asking around for pricing and installation practices, we were warned of difficulties working with Ipe wood and creating an Ipe wood deck. The comments were “make sure you have lot’s of saw blades” and “good luck”. Why did we want to create an Ipe wood deck for this project? The interesting fact about Ipe is it defies wood science. What do I mean by that? First off, it doesn’t burn in a regular campfire, and when dropped in water it sinks to the bottom. So what can we learn from this? It’s the strongest and dense wood known to man. There is no room for oxygen or air to penetrate the board. Just take a look at side profile image demonstrating the density of the Ipe wood product. What did we learn during this Ipe wood deck project? It’s still wood and can be cut no problem, without issue. It is true, working with Ipe wood will require new saw blades more frequently and FAST! 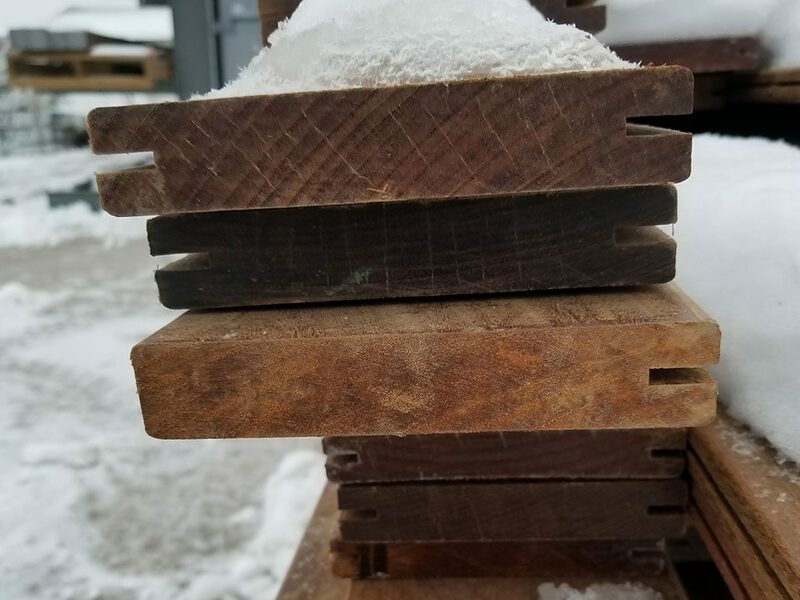 However, the real challenge we faced during our Ipe wood deck project for Red River College in Winnipeg was with the fastening for the benches. Doing the benches and “soldier boards” became more complex than simply screwing a wood screw into a board and plugging. Why was fastening our Ipe wood deck a challenge? Orbital sand or belt sand the remainder of plug sticking up. As you can see this was quite the process when it came to building benches on the deck and laying in defining boarders. 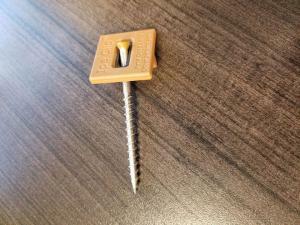 As a reference, see our photo of the Ipe wood deck fastener to the right. For fastening of the deck boards, we used color-matched Ipe clips, into the grooved sides of each board, connecting the two together. This was a challenge as Ipe wood can vary in thicknesses and dimensions, similar to other wood products. To deal with this issue we routered out some of our own clip insertion points. In areas where this wasn’t substantial enough, we sanded down the top of the boards.